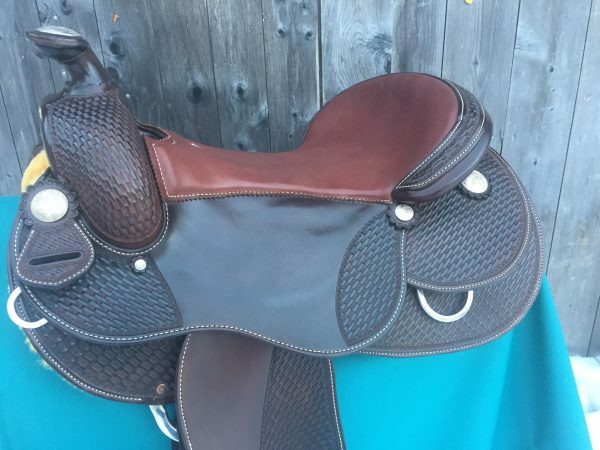 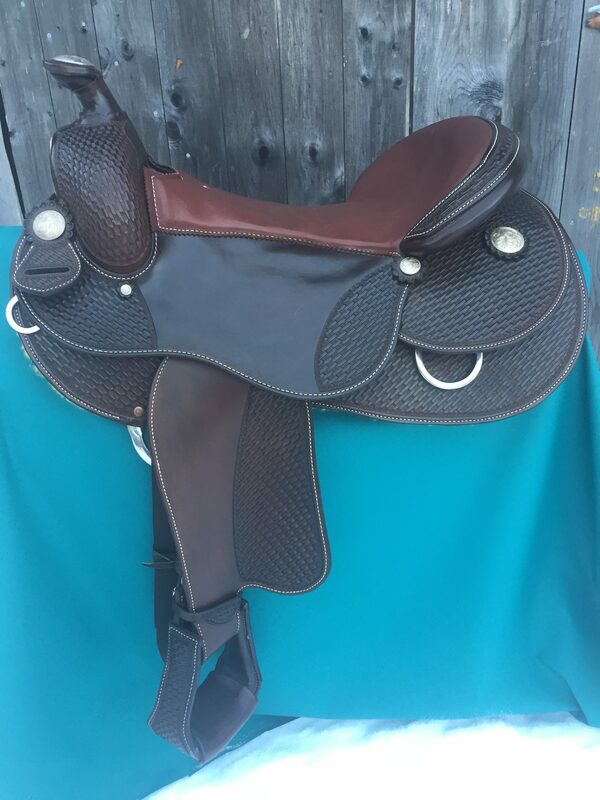 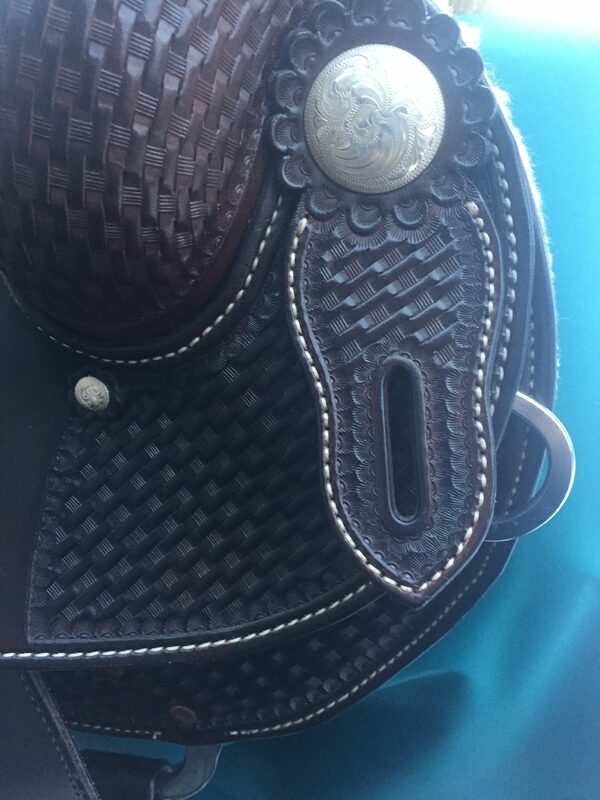 Handcrafted Western Saddle, 16.5″ leather seat. 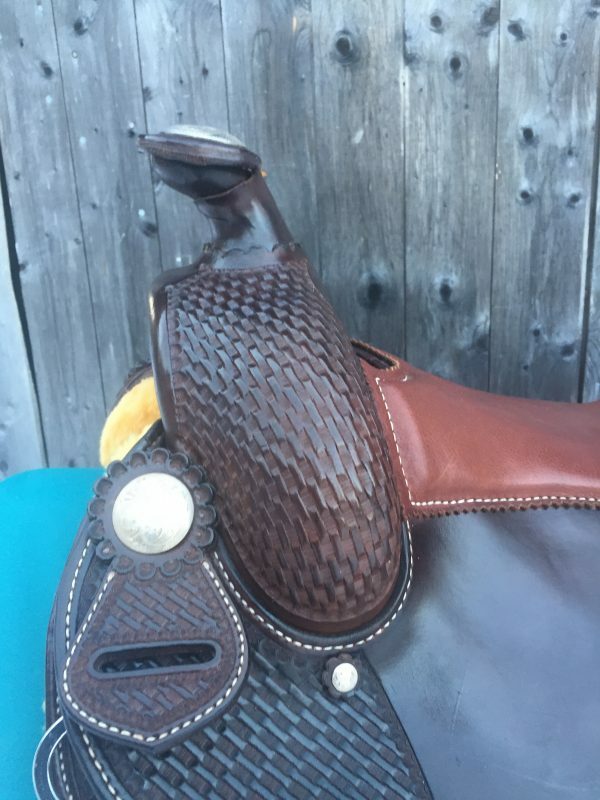 Built on a Bowden Saddle tree. 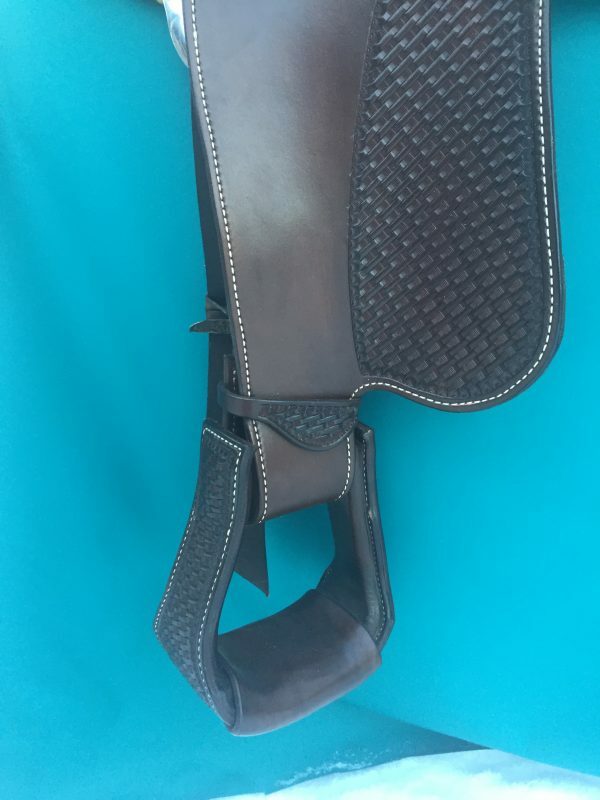 3/4 basket weave tooling, Dark brown dyed Herman Oak Leather. Hansen Silver Trim. 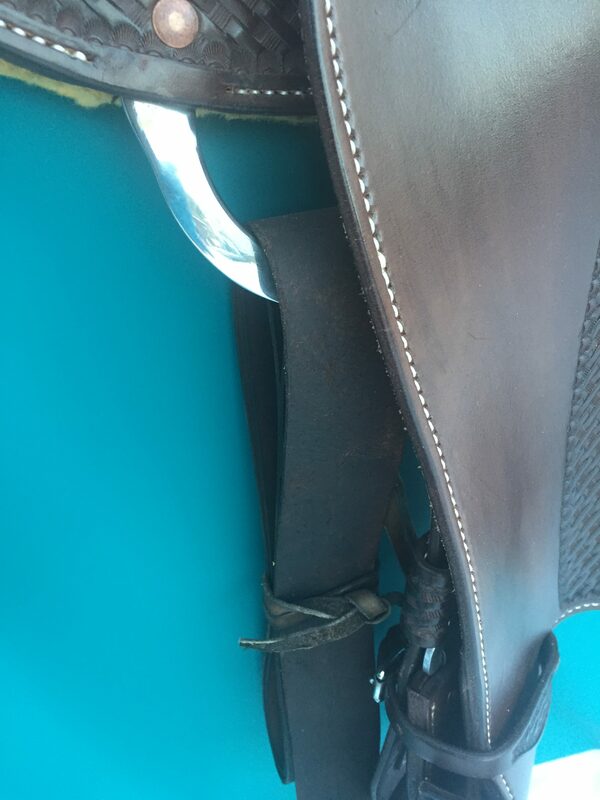 In Skirt Rigging. 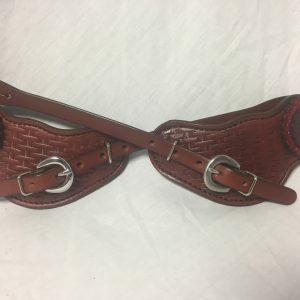 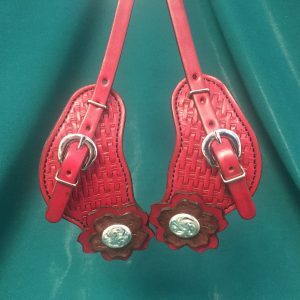 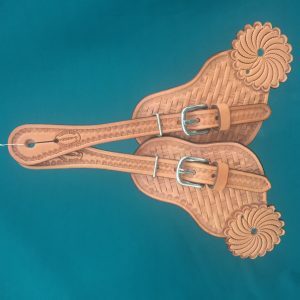 2 1/2″ leather covered wooden stirrups.